We are often asked by event producers and designers if the pieces in our Ready-made collections are available for rent. 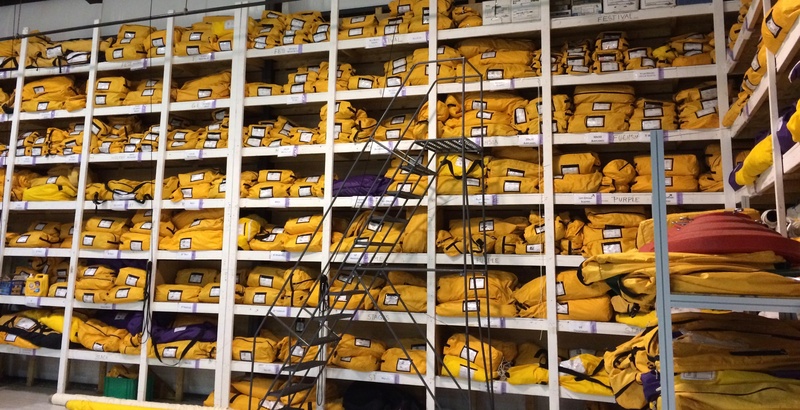 Our rental shop walls are lined with our inventory of more than 2,000 fabric pieces, stored in our signature goldenrod-colored custom bags. It's quite the sight. All of the designs in Transformit's Ready-made collections are available for rental. If you already have an event design layout in mind and in-house resources to do your own drawings, we'll provide you with CAD models of our Ready-made pieces to create your own layout drawings. Or, if you need help creating a design for your event or a drawing of your ideas, the same talented Transformit designers who create our award-winning custom designs are available to help you. We'll gladly help you select the best Transformit pieces for your event and space, and provide you with a drawing and a revision at no charge. If you're not familiar with how Transformit's pieces can work for your events, our website is loaded with photos of finished installations and detail drawings of individual pieces. Start with a visit to our photo galleries for inspiration and our portfolio of Ready-Made collections for detail drawings of all our Ready-Made pieces. If you're interested in learning more about how Transformit can work for you and your clients — send us an email or give us a call. We're here to help.